Personalized birth announcement stickers and milestone stickers to help celebrate. 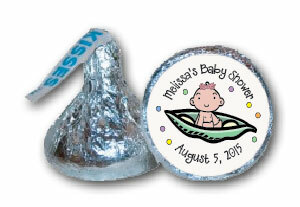 Candy Wrapper Store creates personalized stickers for your party or birth announcement celebration event. Unique stickers that fit Hershey's Kisses, lollipops, favor tins and to use as envelope seals.